Syncopated Real Estate offers an integrated approach to property acquisition and asset disposition. As a South Florida brokerage we facilitate the buying, selling, and leasing of real estate in both residential and commercial markets. A strategic coordination with real estate professionals and funding services allows for innovative solutions. The boutique brokerage approach caters to the individual goals of buyers and sellers. This is accomplished through listening to market rhythms and having the dedication to discover value. The ability to connect with resources such as family offices, legal services, accounting professionals, and private funding groups, facilitates smooth transactions. This method achieves success while developing long term business relationships. A focused approach to real estate transactions in order to cater to specific needs. We listen carefully to achieve successful real estate goals. Our unique expertise and personal touch delivers comprehensive real estate services. 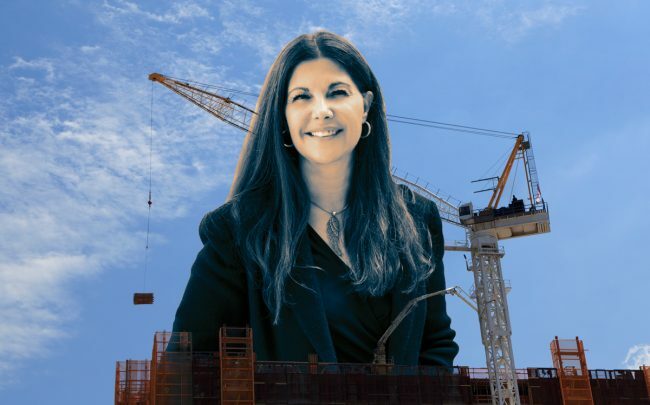 The chief executive officer of a company that builds auto dealerships paid $17 million for three parcels just east of Interstate 95 in Palm Beach Gardens. Robert Rawe, CEO of AutoBuilders, plans to construct a pair of office buildings on the site and renovate a former Robb & Stuckey furniture store there, which spans 100,000 square feet. Rawe told the Palm Beach Post in a prepared statement that he will move the West Palm Beach office of AutoBuilders to the Palm Beach Gardens site. He also said he expects to announce a major office tenant within two weeks. The site he bought is at the corner of PGA Boulevard and RCA Boulevard in Palm Beach Gardens. Rawe has a partnership with a former owner of the site, Palm Beach County developer Dan Catalfumo, to develop it. Joy Eichner of Aaron Group Realty represented Rawe in his acquisition of the site, and Stiles Realty represented the seller. Eichner also will market the site to prospective tenants. 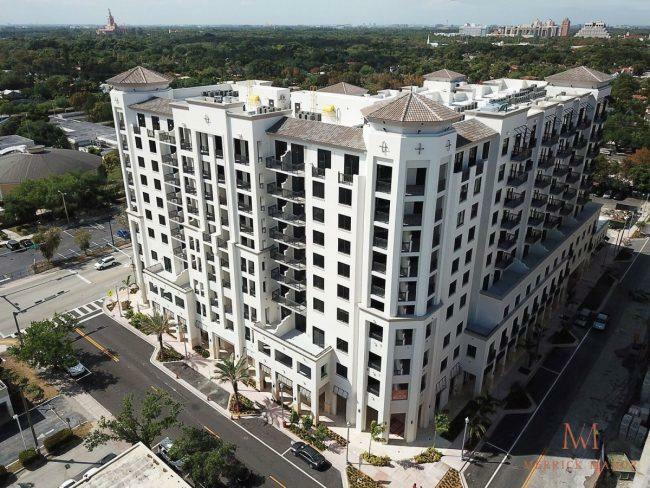 The Astor Companies completed Merrick Manor, a 10-story building with 227 condominium units, the largest condo developments delivered in Coral Gables in nearly a decade. Astor received a temporary certificate of occupancy for the building at 301 Altara Avenue, a short walk from the outdoor shopping mall Shops at Merrick Park. The temporary certificate of occupancy will allow Astor to close sales of condos under contract and allow residents to move into Merrick Manor. More than 65 percent of the 227 condos are under contract. Prices for the unsold condos range from $374,990 to $2.6 million, and they range in size from 574 square feet to 3,400 square feet. The remaining condos have one to four bedrooms, Italian cabinetry, Bosch appliances and white quartz counter tops. Residential sales are handled by the Agency Development Group, led by managing director Sasha Ezquerra and residential sales director Esther Prat. Amenities at Merrick Manor include 24-hour valet parking, 24-hour concierge service at the front desk, a lobby lounge, Parcel Pending lockers, a gym, swimming pool and barbecue area. Security features include a Coral Gables Police Department substation on the ground floor. Merrick Manor also has nearly 20,000 square feet of ground-floor retail and restaurant space marketed by Astor Real Estate Group, led by principal broker Rosa H. Radkiewicz. Princess Maha bint Mishari Abdulaziz Alsaud has listed her Asian-inspired mansion in the Mulholland Estates for sale, Variety reported. Outside, manicured gardens and a swimming pool complete the 0.5-acre property. The Saudi princess has owned the home since 2014, when she paid nearly $7 million for the home. 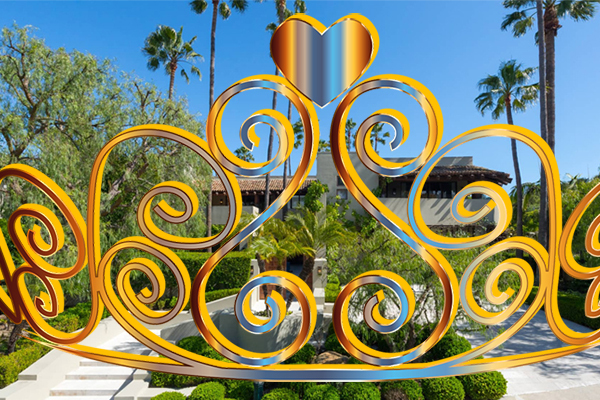 Past famous residents include screenwriter Jeffrey Boam, music producer Steve Rifkind and car mogul Tom O’Gara. The former home of a woman saved from the Titanic is now on the market for $1.795 million. The property known as Overledge — at 159 River Road in Nyack — dates back to 1916, Inman reported. Margaret Welles Swift, of the Swift Meatpacking Company, built the home after the Titanic sank in April 1912. Welles Swift was among the first women to graduate from New York University Law and planned to build her perfect house after coming back from Europe on the Titanic, however those plans changed after losing the original blueprints in the sinking. The 13-acre estate has four fireplaces, a grand staircase and a room full of stained-glass windows. Each of the four bedrooms has a view of the Hudson River, as does the patio. The current owners, Andy and Jennifer Fox-Harnett, have kept the home’s history intact but added a mudroom with stone floors and some other modern touches. The house has traded hands a few times since Welles Swift resided in her custom dream home. She reportedly sold the estate after her husband died and later owners included Santana drummer Michael Shrieve and Paco Martinez Alba, the brother-in-law of former Dominican Republic dictator Rafael Trujillo. One of the most famous churches in Las Vegas is on the market for $12 million. 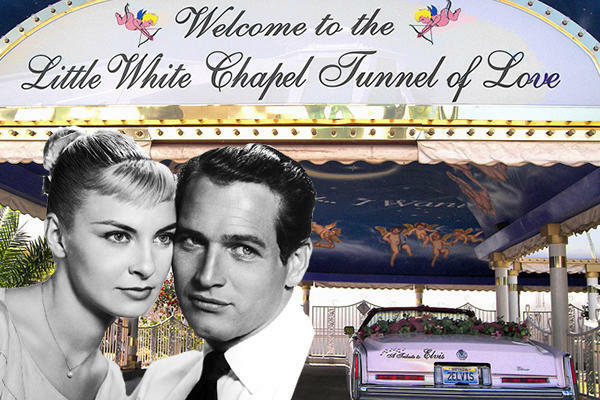 A Little White Chapel, the small venue on the Strip famous for its drive-through weddings, Elvis impersonators, and numerous celebrity weddings, is for sale for the first time in nearly 70 years, according to the New York Post. Its long-time owner Charlotte Richards told Fox 5 Vegas that it’s time “to slow down and let someone else” run the infamous church. The 84-year-old purchased A Little White Chapel in 1951 – back when it was just one room – for $50,000. Richards built the venue dedicated to holy matrimony into the landmark it is today by adding new facilities and services, including on-site gown and tuxedo rentals, florist services, and its hallmark drive-thru wedding service. There are now five chapels on the one-acre site. Richards claims there have been over 1 million marriages at the chapel over the years, many of which she presided over. The venue has long been popular with celebrities. The RFR Holding head previously considered bringing in a hotel but has since nixed the idea, Bloomberg reported. Rosen reaffirmed his goal to bring back the Cloud Club, which operated as a speakeasy during prohibition and expand amenities available for the public — including restaurants and hair salons. Rosen noted that the building has to maintain its cultural value, adding that the ground lease, which some predicted would be an obstacle to a sale, could be managed. Ground leases have been thorns in RFR’s side before. In 2015, the developer defaulted on a loan for the Lever House, another landmark Manhattan skyscraper. The debt sold earlier this year for a significant loss, the report said. 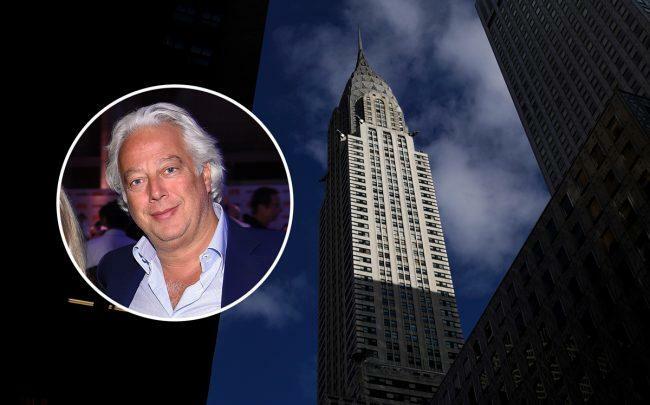 Rosen and partner Sigma Holding GmbH struck a $151 million deal to acquire the historic Art Deco property from the Abu Dhabi Investment Council, which bought a 90 percent stake a decade ago from Tishman Speyer for $800 million. Rosen and his Austrian partner will need to perform hundreds of millions of dollars in upgrades to the property. The City Council’s recent move to update Chicago’s building code for the first time in 70 years could be a boon for the real estate industry, which long has pushed for changes to make development cheaper and easier. The new code adopts a lot of the standards in the 2018 International Building Code, which architects and designers are billing as a huge win for the industry. For one, architects will have to spend less time becoming acquainted with Chicago’s byzantine code. “It will help standardize how architects complete projects, so Chicago is not as peculiar as it used to be,” said Zurich Esposito, executive vice president of the American Institute of Architects’ Chicago branch. Some of the big changes in the new building codes include requiring sprinkler systems in residential buildings with four or more units, reducing the minimum ceiling requirements in basement and attic spaces to boost ancillary dwelling units, and requiring seismic design features for the first time in the city’s history. Development, particularly of high-rise multifamily and office buildings, still flourished under the previous code. But that doesn’t mean the process wasn’t onerous. Modern building techniques and materials have been allowed in Chicago’s new developments, but using them often required a special approval, which ate up time and resources for the city and developers, city Buildings Department Commissioner Judy Frydland said. “It gives our code a flexibility,” said Frydland, who spearheaded the overhaul. For example, glass as a structural element in buildings was permissable only if the builder secured a special permit, since the previous rules did not specifically allow it. Now developers wanting to use glass in such a way won’t need to seek special permission, said Chris Chwedyk, a licensed architect who also works as a building code consultant. The same goes for new materials used in roof repairs and the use of plastics in certain home projects, he said. The new code will also allow for the use of the “performative method,” which allows for greater flexibility in rehab projects, said Ken DeMuth, partner at Pappageorge Haymes Partners who was co-chairman of the committee charged with reviewing the city’s renovation codes. Previously, rehabbers and developers followed the “prescriptive” method, which required them to stick to the letter of the building code. While the changes will impact high-rise construction, the new code will particularly be a boon to single-family and small-scale development, said Paul Colgan, government affairs director for the Home Builders Association of Greater Chicago. Streamlining the permitting process and allowing for new construction methods and materials could make housing development cheaper, therefore reducing housing prices for residents, said Brian Bernardoni, local government affairs director for the Illinois Association of Realtors. In overhauling the code, Frydland said an emphasis was placed on making home improvements and historical rehabs easier and more affordable. A pilot program that allowed the use of new techniques and materials in plumbing worked saved Chicago homeowners and landlords $15 million, Frydand said. Real estate advocates did not get everything they wanted in the overhaul. The industry lobbied for allowing more extensive use of plastic piping in some housing development, but it did not make the final cut. And requiring sprinkler systems in new residential construction of four or more units will increase costs for developers. Coglan said he’d have liked to have seen a higher threshold for sprinklers, but that “staying away from single family, two- and three-flats is crucial.” To help with the cost of sprinklers, the city will now allow developers greater height and density in some buildings, according to the city. The city will gradually phase in the new code, to allow for the working out of any kinks that should arise, Frydland said. The new building code book will be published in October, at which point the city will have an invitation-only pilot program that will allow developers to use the new rules. Frydland said developments of all sizes will hopefully participate in the pilot to determine how the new codes impact building projects. The new regulations will become mandatory by August 2020. “There’s still a lot of work to be done,” Frydland said. In this week’s celebrity real estate, two big-name musicians have listed their equally big-ticket homes. Fleetwood Mac lead guitarist Lindsey Buckingham and Maroon 5 frontman Adam Levine are now sellers. 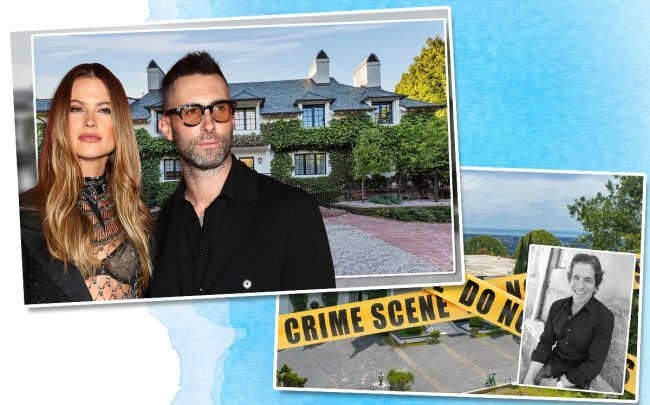 Levine and his wife, Behati Prinsloo, led the way with their $47.5 million listing in Beverly Hills, bought just a little less than a year ago. Levine and Prinsloo’s asking price on their home is nearly $10 million more than what they paid for it last year. The 10,370-square-foot mansion boasts five bedrooms, 12 bathrooms, a guest house, tennis court, screening room, outdoor deck and oval-shaped swimming pool. The star couple recently bought Ben Affleck and Jennifer Garner’s former house in the Pacific Palisades. Buckingham and his wife Kristen have listed their custom-built mansion in the wealthy enclave for $29.5 million. Spanning 10,000 square feet, the estate boasts seven bedrooms, a recording studio, a two-story tower and a billiards room. Outside, a tennis court, gym, swimming pool and guesthouse complete the 1.3-acre property. The couple bought the land for $6.6 million in 2004. They’re in the midst of moving into another custom-built home in the same neighborhood. The 23-time Grand Slam champion Serena Williams sold her home on Stone Canyon Road for $8.1 million. The tennis pro had listed the 6,100 square-foot house for $12 million in 2017. She later cut the price to $10 million. It has six bedrooms and seven bathrooms, as well as a full-service salon. The grounds include a large pool and pool house, gardens, and a covered patio. In Beverly Hills, two-time Academy Award-winner actress Jodie Foster found a buyer to buy her 7,500-square-foot home. She sold it less than two months after listing it for $15.9 million. Along with the five bedrooms and seven bathrooms, the home has a theater room, a second-story deck space to take advantage of the westerly views, and a backyard pool and patio area. Zillow Group slammed Compass with two lawsuits late Friday, alleging the SoftBank-backed brokerage hired three executives in violation of their non-competes as it staffed up its nascent tech hub in Seattle. The lawsuits also claim that Compass actively sought to obtain proprietary information from Zillow to avoid building its own technology. 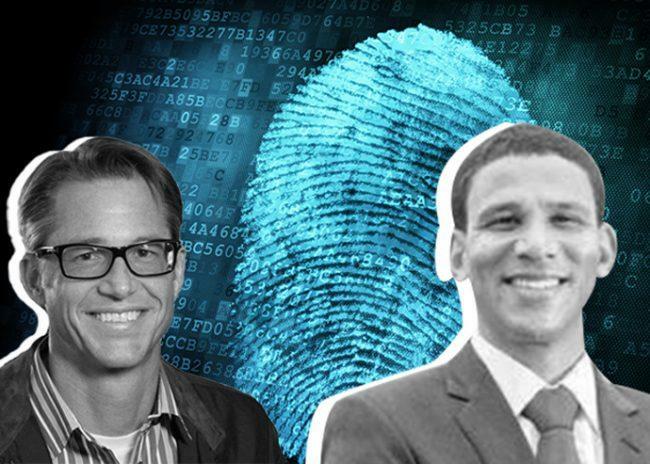 The suits — one filed in federal court and the other in Washington state court — also name Robert Chen, Zillow’s former head of artificial intelligence; Michael Hania, an enterprise sales executive; and Chester Millisock Jr., a software engineer. “Compass actively recruited these employees in order to avoid the costs associated with open and honest competition and to obtain Zillow’s confidential and proprietary information,” court documents allege. In the suits, Zillow said all three of its former executives violated 12-month non-competes with Zillow. They allegedly took proprietary information from Zillow in the days before they left the company, copying confidential customer lists, financial information, sales data and technical information on thumb drives and to DropBox. In a statement, Zillow said it supports healthy competition to drive innovation. But, “Compass’s practices are something different; they are unlawful, and because we have a responsibility to protect our intellectual property, we are taking action,” the company said. Compass said it was still reviewing the complaints and could not immediately provide a comment. Amazon’s pull-back and Albany’s political tumult aren’t enough to keep international real estate investors from seeing New York City as the safest place in the world to park their money. A survey of about 200 real estate investors and investment managers from 24 countries identified New York as the “most stable and secure” city in the world to do business, and 39 percent said they want to “increase exposure there,” according to Crain’s. About 20 percent of members of the D.C.-based A Fellowship for International Real Estate said they want to increase their exposure in Los Angeles. Five percent called Los Angeles the “most stable and secure” investment target, putting it just behind Paris, Boston and Singapore. 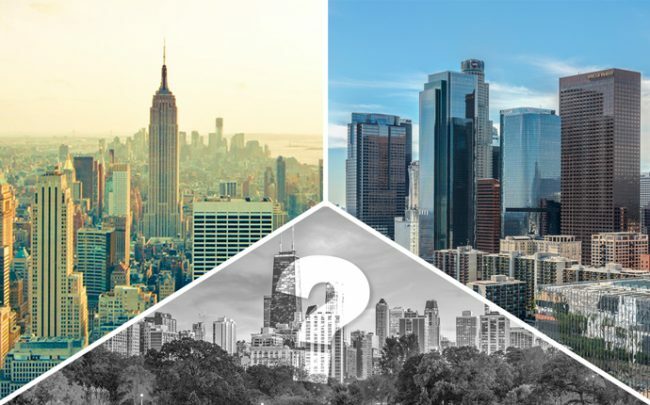 But roughly another third of respondents said they want to “decrease exposure” in New York, and 18 percent say they plan to cash out of investments in Chicago. Four percent said they likely will divest from real estate assets in Miami. With a hard-line new Cook County Assessor and looming public pension obligations, Chicago is poised to see steep tax hikes on commercial properties that could scare away investors.